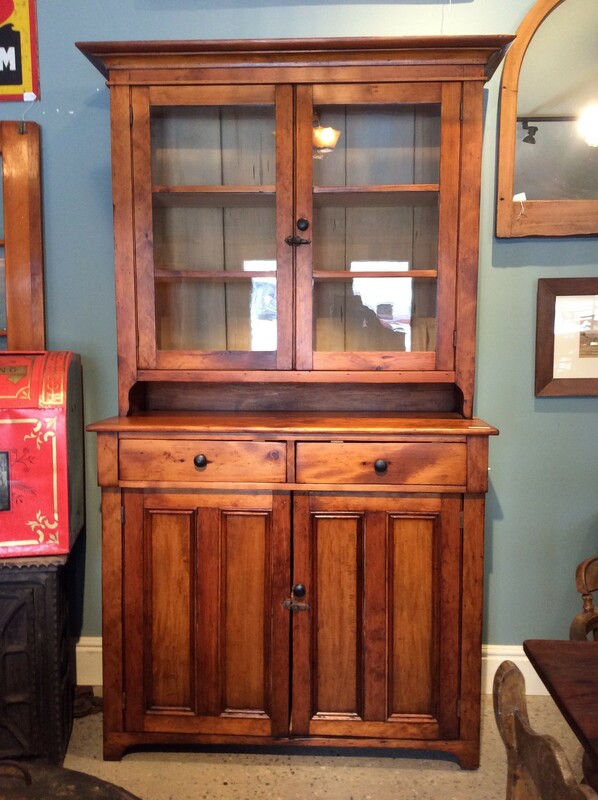 Refinished pine 2 piece flat to wall cupboard out of Waterloo County. Circa 1870. 48 inch case. Ready to put in your home.